to those who will explore Japan further starting from Shinjuku. This “Welcome Sign Design” was created with that in mind. 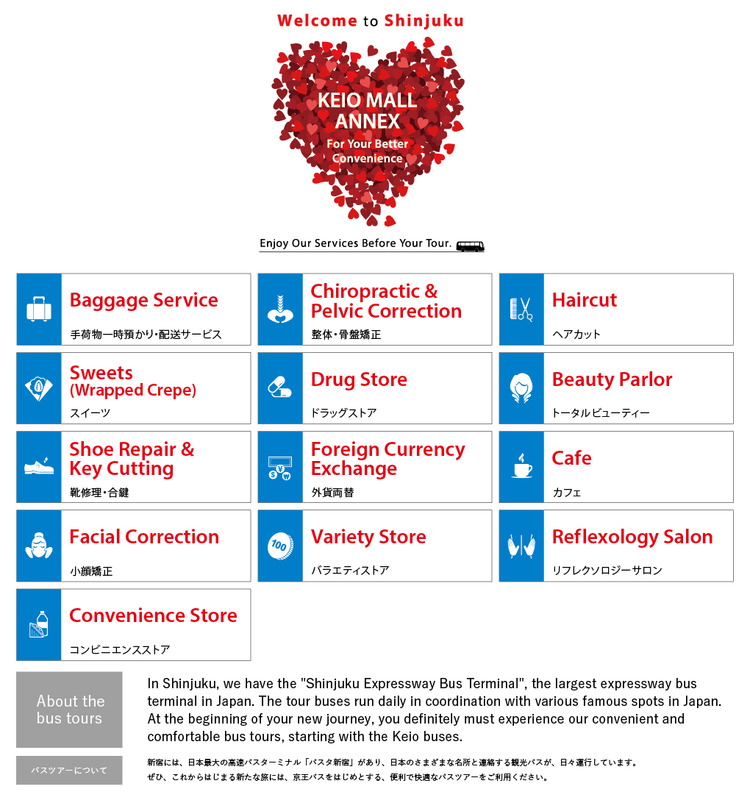 The Keio Mall Annex has assembled many attractive shops, brimming with heartfelt “hospitality”. Before you leave for your destination, you must enjoy the convenient and comfortable services that we can provide. Our wish is that it will become one of the exciting memories of your trip. Copyright © 2016 Keio Chica Chushajou Co.,Ltd.